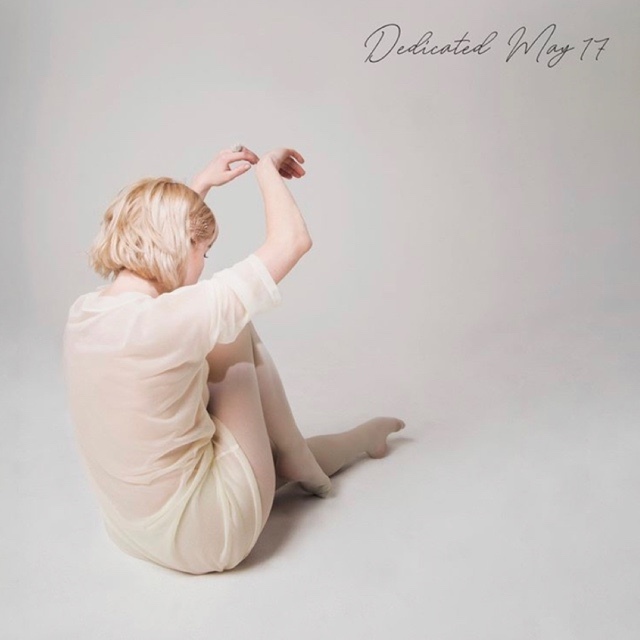 Posts tagged with "Carly Rae Jepsen"
Multi-platinum Grammy, Juno and Polaris Prize nominated singer/songwriter Carly Rae Jepsen will release her new album, Dedicated, May 17th on School Boy/Interscope Records. Jepsen will follow up the album release with a summer headline tour. The Dedicated Tour will kick off June 27th at House of Blues in Anaheim, CA and will make stops in major markets including Nashville, New York City, Washington DC and Los Angeles. Fans who pre-order Dedicated will receive a code for early access to purchase tour tickets starting April 2nd. General on sale for The Dedicated Tour is April 5. Pre-order Dedicated HERE. Jepsen has partnered with PLUS1 so that $1 from every ticket sold will go to support Crisis Text Line, and their work providing free, confidential and 24/7 support for those in crisis. For her San Francisco engagement specifically, $1 from every ticket sold will go to support The Trevor Project, and their work providing crisis intervention and suicide prevention services for LGBTQ youth. TheTrevorProject.org Jepsen’s 2015 album E*MO*TION, earned a host of rave reviews with several outlets – including TIME, Entertainment Weekly, Pitchfork, People, Stereogum, Vulture, Complex, and Noisey- declaring it the pop album of 2015. The set featured the platinum selling single “I Really Like You.” One year later Jepsen released E*MO*TION Side B as a gift to her fans and saw it immediately rise to the iTunes Top 10 . E*MO*TION followed the release of Jepsen’s U.S. debut album Kiss featuring the blockbuster break-out hit “Call Me Maybe” which climbed to #1 on the iTunes Singles charts in over 47 countries, has sold over 20 million singles worldwide and is certified Diamond in the United States. It earned Jepsen 2012 Grammy nominations for Best Pop Solo Performance and Song of the Year. Jepsen released “Now That I Found You” and “No Drug Like Me” in February, both songs will be featured on Dedicated. PLUS1 is an initiative that channels the collective energy of a concert to catalyze social change. By partnering with performing artists, PLUS1raises and grants millions of dollars to high impact nonprofits addressing our most serious global challenges around Access, Equity, and Dignity. The work begins with a $1 per ticket add-on that makes fundraising simple and seamless. Beyond the dollar, PLUS1 supports artists as educators and advocates, fueling their passion, reach, impact. 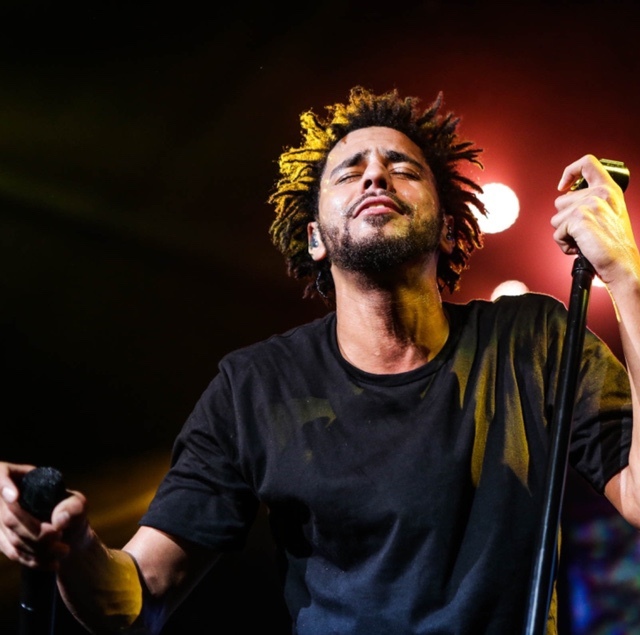 To date, PLUS1 has raised and granted over $7million, and served as the connective tissue between over 100 artists, millions of their fans, and 100s of leading social justice organizations tackling global injustice. This entry was posted in Fashion + Music and tagged 360, 360 Magazine, album, April Bussey, Carly Rae Jepsen, dedicated, entertainment, music, summer, tickets, tour, Vaughn Lowery on April 1, 2019 by wp360mag. Multi-platinum Grammy, Juno and Polaris Prize nominated singer/songwriter Carly Rae Jepsen releases the video “Now That I Found You” today. “Now That I Found You” was produced by Captain Cuts and was released last month, along with the song “No Drug Like Me,” on School Boy/Interscope Records. “Now That I Found You” and “No Drug Like Me” will appear on Jepsen’s forthcoming album which is set for release in 2019. 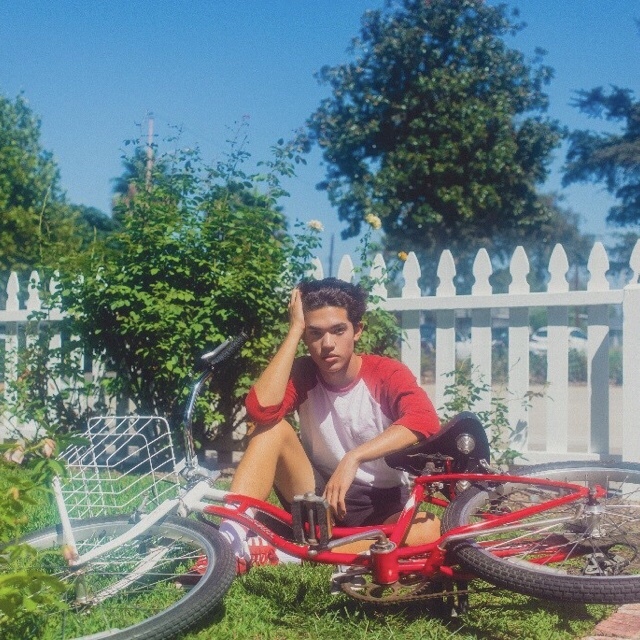 This entry was posted in Feature and tagged 360, 360 Magazine, Amazon, apple music, Carlos Lopez Estrada, Carly Rae Jepsen, google, interscope records, iTunes, Juno, Nelson de Castro, new music video, no drug like me, now that I found you, Polaris, pop, school boy, singer, songwriter, spotify, Tara McDonough, Vaughn Lowery on March 14, 2019 by wp360mag. On April 5, Interscope Records will release Teen Spirit Original Motion Picture Soundtrack. In the film – which screened last night at the 2019 SXSW Film Festival and opens in April – Elle Fanning plays Violet, a shy teenager who dreams of escaping her small town and pursuing her passion to sing. With the help of an unlikely mentor, she enters a local singing competition that will test her integrity, talent and ambition. Making his directorial debut, Max Minghella creates a modern fairytale, scored to a lush pop soundtrack. 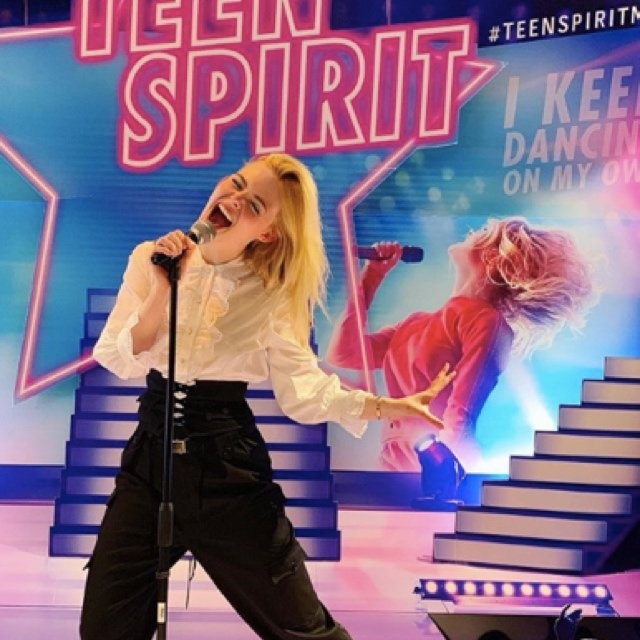 Elle Fanning’s soaring rendition of the iconic Robyn song “Dancing On My Own,” was released today along with the first official clip. Listen HERE and view the video HERE. Individuals can pre-order the album commencing today. The 14-track collection also includes Fanning’s covers of songs by such preeminent female artists as Ellie Goulding (“Lights”), Annie Lennox (“Little Bird”), Tegan and Sara (“I Was A Fool”) and Sigrid (“Don’t Kill My Vibe”) plus “Wildflowers,” a new song written by Carly Rae Jepsen and Jack Antonoff. Fanning is joined by cast members on “Good Time,” which was a 2x Platinum hit for Owl City and Carly Rae Jepsen. Clara Rugaard, who plays a fellow contestant, covers “Tattooed Heart,” a song from Ariana Grande’s 2013 album, Yours Truly. The original versions of No Doubt’s “Just A Girl,” Grimes’ “Genesis” and Major Lazer’s “Lean On” feat. MØ & DJ Snake also appear on the soundtrack. Teen Spirit stars Elle Fanning (The Beguiled, 20th Century Women), Zlatko Buric (Pusher, 2012) and Rebecca Hall (Christine, The Gift). Directed and written by Max Minghella (The Social Network, “The Handmaid’s Tale”) and produced by Fred Berger (La La Land, Destroyer). Executive Producers are Jamie Bell (Billy Elliot, Film Stars Don’t Die in Liverpool), Max Minghella, Brian Kavanaugh-Jones (I Think We’re Alone Now, Insidious film series), David Garett (Step Up, Happy-Go-Lucky), Dan Fisher (Low Tide), John Janick, Steve Berman, Anthony Seyler, Mickey Liddell (Jackie, I Can Only Imagine) and Pete Shilaimon (Anthropoid, Megan Leavey). Michael C. Constable (Free Fire, How to Build a Bird) served as Co-Producer. Marius de Vries & Eldad Guetta (feat. Elle Fanning) – E.T. This entry was posted in Fashion + Music and tagged 360, 360 Magazine, Annie Lennox, Anthony Seyler, Carly Rae Jepsen, clara rugaard, dan fisher, david garett, DJ Snake, Eldad Guetta, elle fanning, fred gerger, Grimes, interscope records, jack antonoff, jamie bell, John Janick, major lazer, Marius de Vries, max minghella, Michael C. Constable, Mickey Liddell, MØ, No Doubt, Pete Shilaimon, Rebecca Hall, Sigrid, Steve Berman, Steven Gizicki, Tara McDonough, teen spirit, tegan and sara, Vaughn Lowery, Zlatko Buric on March 13, 2019 by wp360mag. 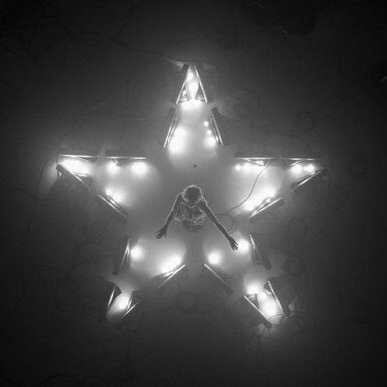 This entry was posted in Feature and tagged 360 Magazine, Agnieszka Grochowska, Alice Deejay, Annie Lennox, Aqua, Ariana Grande, bleecker street, Carly Rae Jepsen, Celebrity, elle fanning, ellie goulding, entertainment, fanning, film, Fred Berger, Grimes, jack antonoff, Katy perry, ld entertainment, lights, major lazer, max manghella, music, new movie, No Doubt, Orbital, pop culture, Rebecca Hall, Robyn, Sigrid, Tara McDonough, teen spirit, Tegan & Sara, The Undertones, Vaughn Lowery, Whigfield, Zlatko Buric on February 13, 2019 by wp360mag. 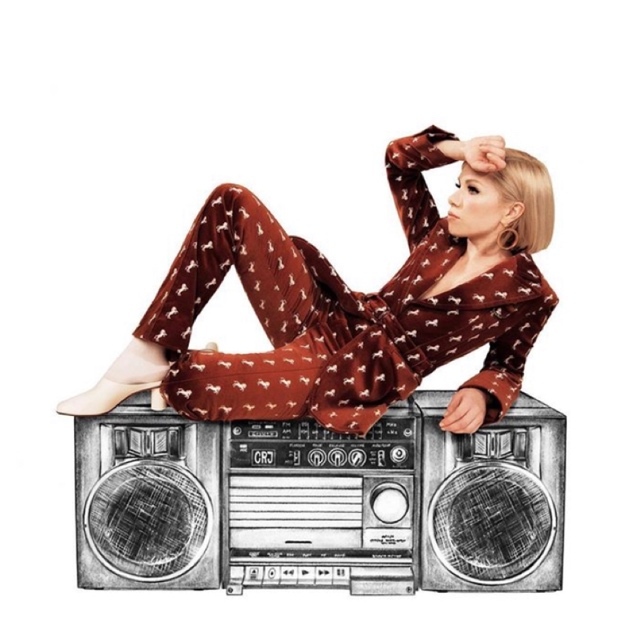 Multi-platinum Grammy, Juno and Polaris Prize nominated singer/songwriter Carly Rae Jepsen released “Party For One” last month on 604/School Boy/Interscope Records. Today she releases three remixes of the self-love anthem by More Giraffes, Sawyr and Anki. “Party For One” has landed on 2018 “best of” lists including Pitchfork, Billboard and Consequence of Sound to name a few. Jepsen will release the follow up to her critically hailed 2015 album E*MO*TION next year. This entry was posted in Design and tagged 360, 360 Magazine, apple music, billboard, Carly Rae Jepsen, Consequences, emotion, Grammy, iTunes, Madison Smushkevich, Party For One, Party For One Remix, Pitchfork, spotify, Vaughn Lowery, vevo, YouTube on December 14, 2018 by wp360mag. 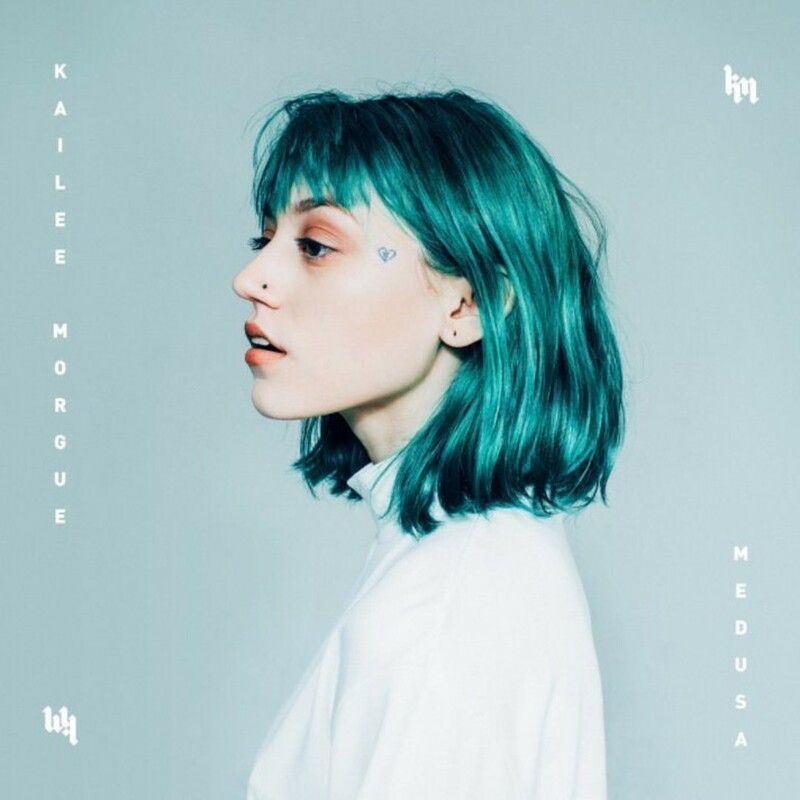 Kailee Morgue unleashes her anxiously awaited debut EP, Medusa [Republic Records]. Check it out here. A gateway into the artist’s widescreen sonic wizardry, the four-song set includes her breakthrough “Medusa”and latest track “Discovery”—which Zane Lowe personally selected as a “World First” record on Apple Music Beats 1 just last month. Additionally, she reveals two equally majestic anthems at which to marvel. Produced by Joel Little [Lorde, Khalid], “Unfortunate Soul” tiptoes between clean guitars and glitchy beats as the songstress pleads, “I’m an unfortunate soul. It’s just the way that I roll.” Meanwhile, “Ghost of Mine” haunts and hypnotizes as her voice careens over spacious beats from producers Imad Royal and Brenton Duvall. Check out the official lyric video for “Unfortunate Soul” Here! 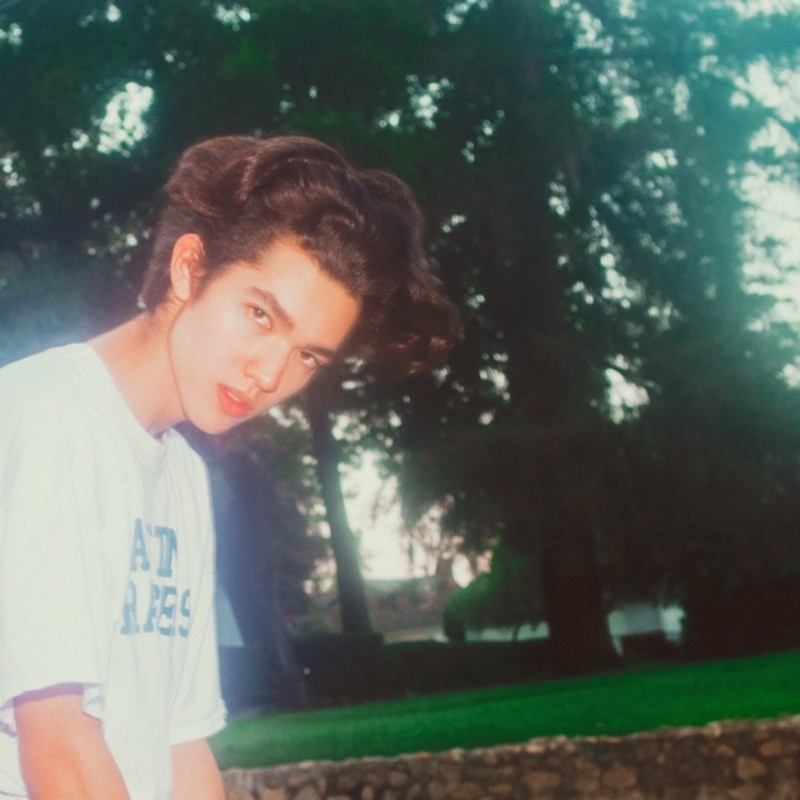 “Discovery” arrived hot on the heels of the viral hit “Medusa,” produced by CJ Baran [Melanie Martinez, Panic! At the Disco, Carly Rae Jepsen], quietly transformed the artist into a palpable phenomenon. Upon release, it launched to #1 on Hype Machine, was premiered by Fader and received “Best Track of the Week” by The New York Times, Line of Best Fit, MTV, Coup de Main and reached #2 on the Canadian viral chart on Spotify. Check out the video for “Medusa” Here. In addition, she recently posted a cover of label mate Post Malone’s smash hit “rockstar” ft. 21 Savage. The track is a follow up to a previous cover she posted of “Feeling Whitney” back in January. Check out the “rockstar” cover here! This entry was posted in Design and tagged 21 savage, 360 Magazine, apple music, billboard, Carly Rae Jepsen, charnese ballard, CJ Baran, Coup de Main, culture, Discovery, edgy, fader, Feeling Whitney, generation z, Ghost of Mine, Gwen Stefani, Hype Machine, iheartradio, INSTAGRAM, Joel Little, Kailee Morgue, Khalid Lorde, Led Zeppelin, lifestyle, Line of Best Fit, Marvel, Medusa, Melanie Martinez, millennials, mtv, new music, new York times, Panic At the Disco, Pink Floyd, pop, Post Malone, Republic Records, rockstar, soundcloud, spotify, Stevie Nicks, Twitter, Unfortunate Soul, Vaughn Lowery, youth, YouTube, Zane Lowe on January 19, 2018 by wp360mag. “Cut To The Feeling” Official Video Out Now! The official video for “Cut To The Feeling” was shot on a studio lot in Los Angeles. Carly’s band in the video is made up of friends & musicians David Kalani Larkins, Greta Morgan from Springtime Carnivore and James Flannigan. This entry was posted in Uncategorized and tagged 360 Magazine, Canada, Carly Rae Jepsen, Celebrity, Cut to the Feeling, Global Society, interscope records, Leap, London, Los Angeles, mtv, music, New York, official video, pop culture, unplugged, Vaughn Lowery, Victor Harrington on September 17, 2017 by wp360mag.